For a long time, comparison websites for financial products had been massively popular in regions like Europe and Australia. Of late, we're witnessing indications that this trend is about to hit Malaysia in a big way. What are Financial Comparison Websites? Financial comparison websites are online portals dedicated to the comparison of financial products and services, such as fixed deposit accounts, credit cards and mortgages. 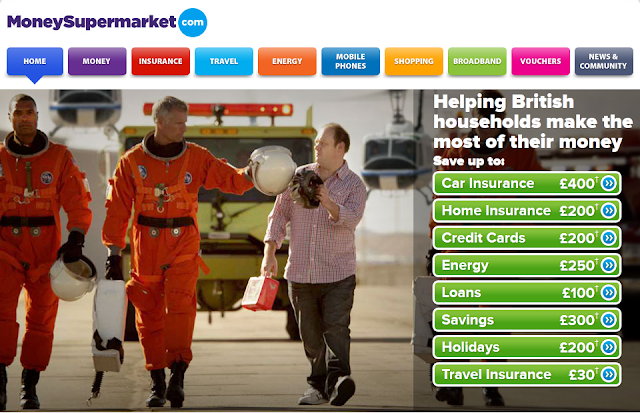 The definitive example is British-based moneysupermarket.com, one of the most established financial comparison websites, which has been listed on the London Stock Exchange since 2007. The idea behind most financial comparison websites is surprisingly simple. In the case of Money Supermarket, it fundamentally involves the listing of prevailing rates and terms of financial products, and the provision of online application services for the said products. Revenues are generated when the consumers opt to apply for any of the financial products over its website (usually in the form of referral fees from the banks). Don't have time to digest the financial details? Just know that according to the latest information released on Yahoo! Finance, Money Supermarket has a market capitalisation in the realm of a whopping £1.02 billion. If you're a Malaysian who relies on the Internet for your financial needs, you may have already experienced first-hand the increasing prominence of local financial comparison websites on the Internet. 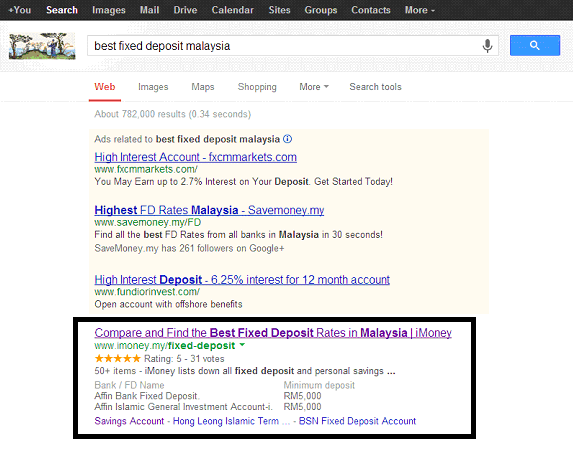 A few years back, google a phrase like "best fixed deposit Malaysia" and your search results would undoubtedly be filled with websites of local banks like Maybank, RHB and CIMB. Nowadays, google the same phrase and chance are, you'll see Malaysia's financial comparison websites dominating your search page instead of the banks'. The emergence of financial comparison websites in Malaysia is best illustrated by the rise of websites like iMoney.my - currently one of Malaysia's leading portals in this niche area. With identical look and feel to the aforementioned Money Supermarket and working pretty much on the same revenue model, iMoney is a relatively young start-up created in early 2012 by local netpreneur Ching Wei Lee. iMoney now receives more than 150,000 visitors a month and expects to generate more than $1 billion in business for banks and insurance companies in the region within 2013… all within 18 months since its inception. The site currently has more than 21,000 "likes" on Facebook. To top it off, iMoney had also received pre-seed fundings of RM500,000 from Cradle Fund (an agency under the Ministry of Finance Malaysia) and USD500,000 from Asia Venture Group respectively - indicating that the vast potentials of financial comparison websites did not go unnoticed to the authorities and venture capitalists. Are Financial Comparison Websites here to stay in Malaysia? Are financial comparison websites just a passing phase or are they a permanent mainstay in Malaysia's online scene? For the moment, all factors seem to point to the latter. First, there is the undisputable fact that Malaysian online users are getting more sophisticated. In fact, more and more Malaysians are relying on the Internet as a trusted source of information… even for delicate things like financial products. Then, there is the robust nature of the industry itself. 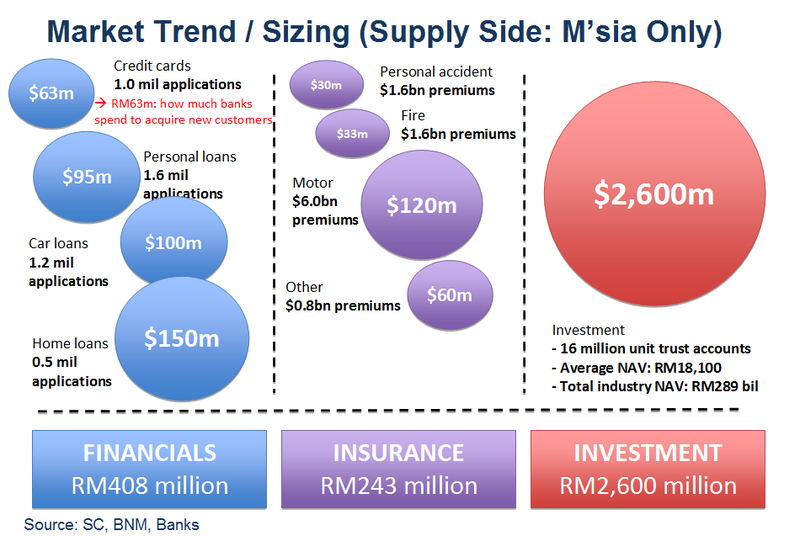 As of 2013, iMoney estimates Malaysia's Finance, Insurance and Investment sectors to be worth more than RM3.2 billion. This is important as these are essentially the sectors that will power the demand and revenue-generation capabilities of financial comparison websites. 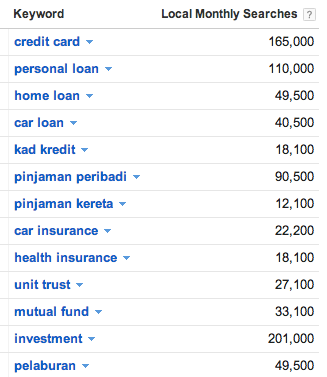 For now, the numbers seem to indicate a rosy future for financial comparison websites in Malaysia. But will we eventually have a Malaysian equivalent attaining the success and listing status of global giants like Money Supermarket? Only time will tell! This article was written by Ching Wei Lee, iMoney CEO & co-founder, a financial comparison website dedicated to helping Malaysians make the best use of their money. 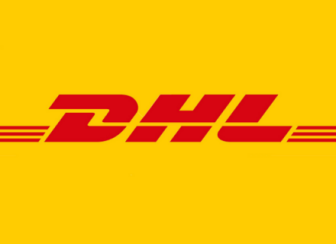 They can be contacted at hello@imoney.my.